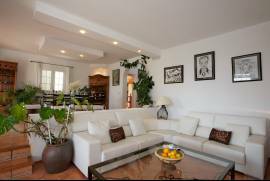 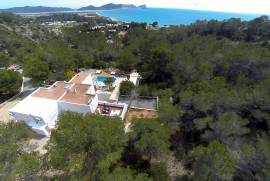 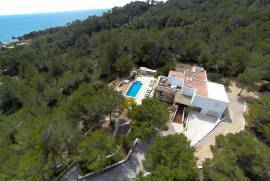 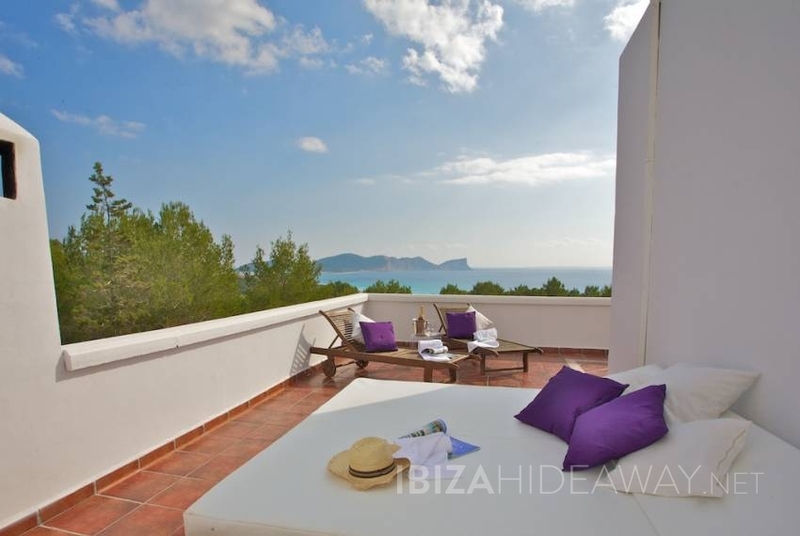 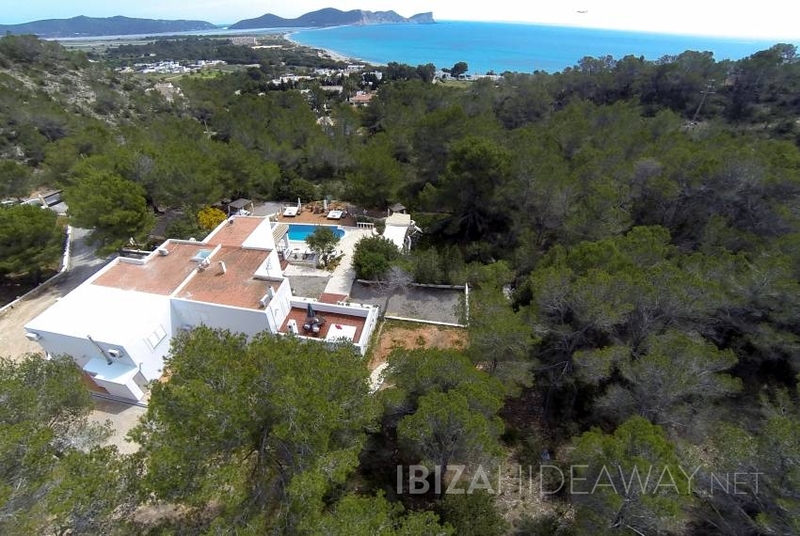 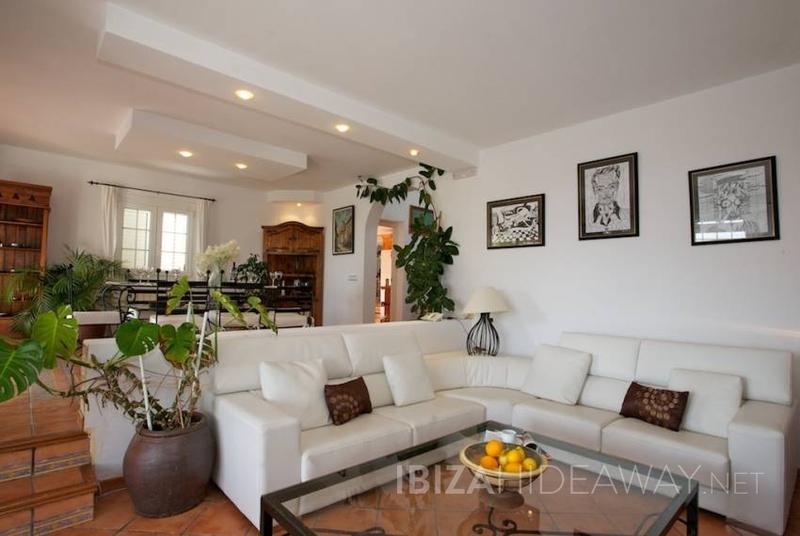 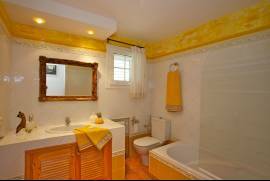 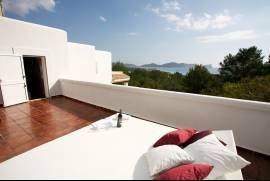 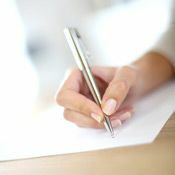 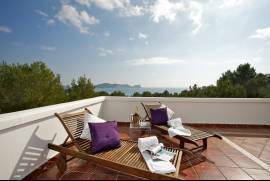 Surrounded by pine forests it is just 200m from the beach of Es Codolar, 400m from Sa Caleta and 600m from Cala Jondal. 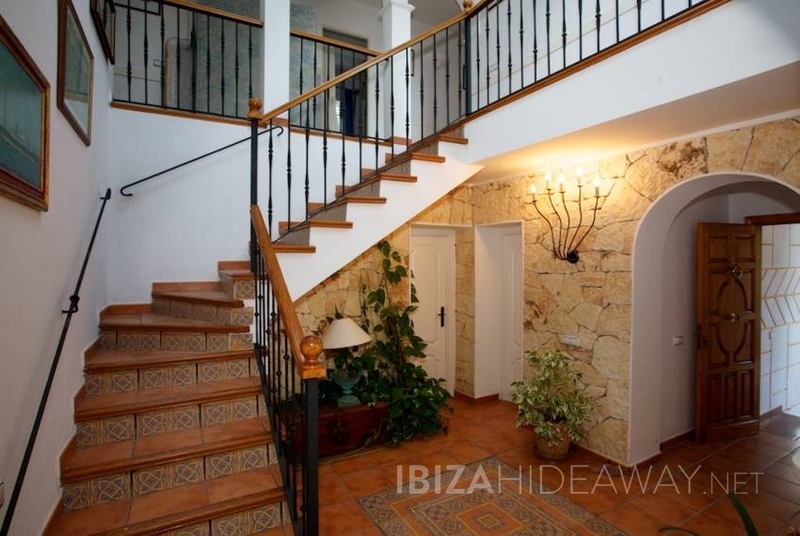 This very pretty house which sleeps up to 12 people is on two levels. 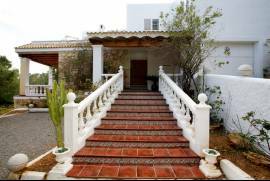 The ground floor consists of an entrance porch, hall, comfortable living room with beautifully decorated dining area and large terrace. 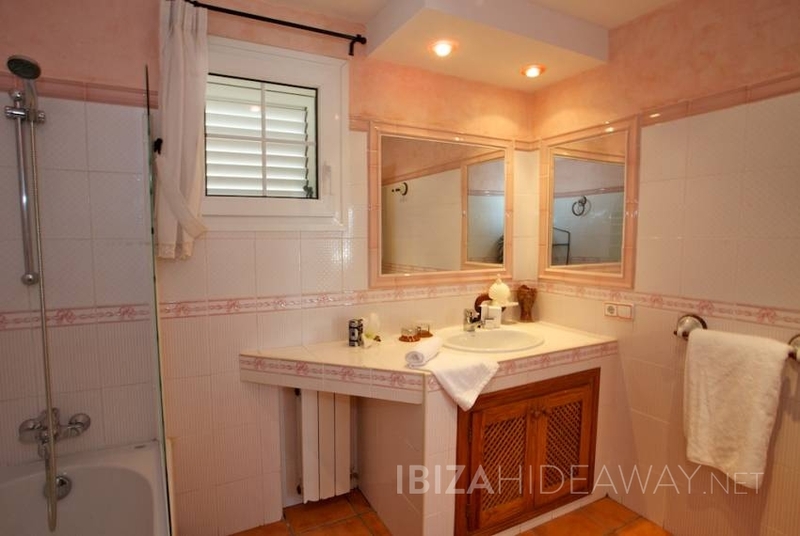 There is a large double bedroom off to the right of the entrance with an en suite bathroom. 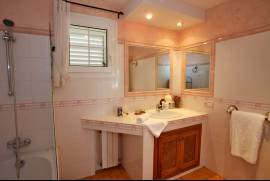 A further bathroom is also situated on the ground floor. 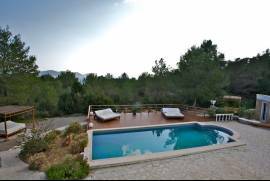 There is also a fully fitted and well equipped pine kitchen, a handy office, a laundry room, a storage room, closed garage and barbecue with grill. 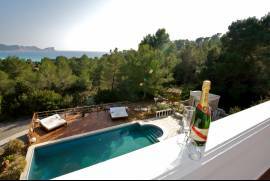 On the first floor the main bedroom has its own bathroom, dressing room and a large terrace with fabulous views of the pool, countryside and sea beyond. 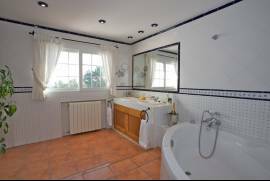 Another bedroom has an en-suite bathroom and there are two other bedrooms with a shared full bathroom. 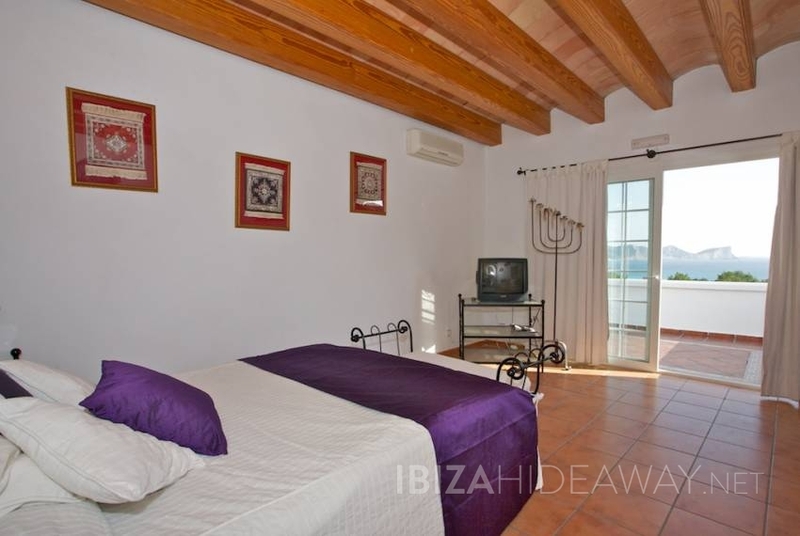 Also a double bedroom with individual beds. The bedrooms are stylishly furnished and subtly lit and all enjoy sea views, whilst the bathrooms are contemporary and bright. 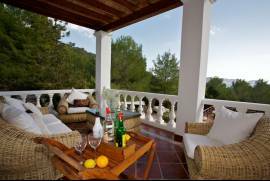 Outdoors the decorative, white stone terrace is surrounded by carefully tended flowers and plants. 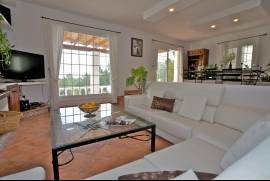 It is comfortably furnished with teak and white beds, and slopes down to the inviting, crystal clear 14 x 5m pool. 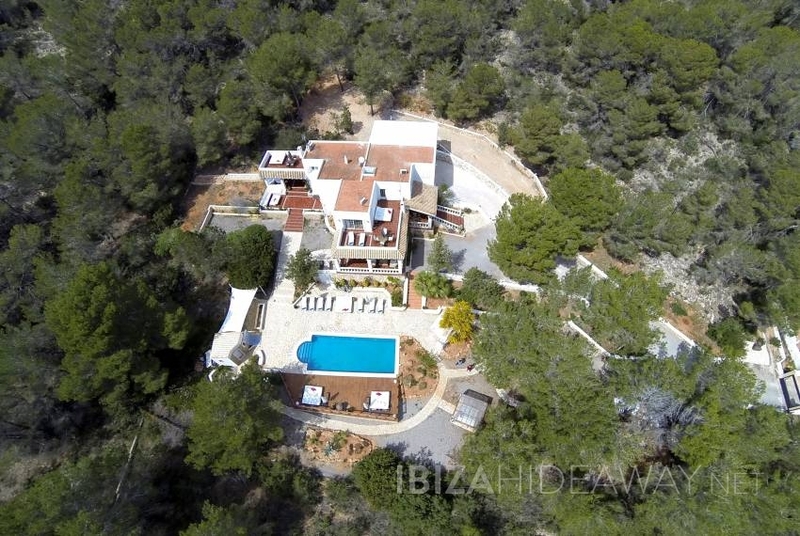 Sleek Contemporary Finca near Ibiza Town with Country Views. 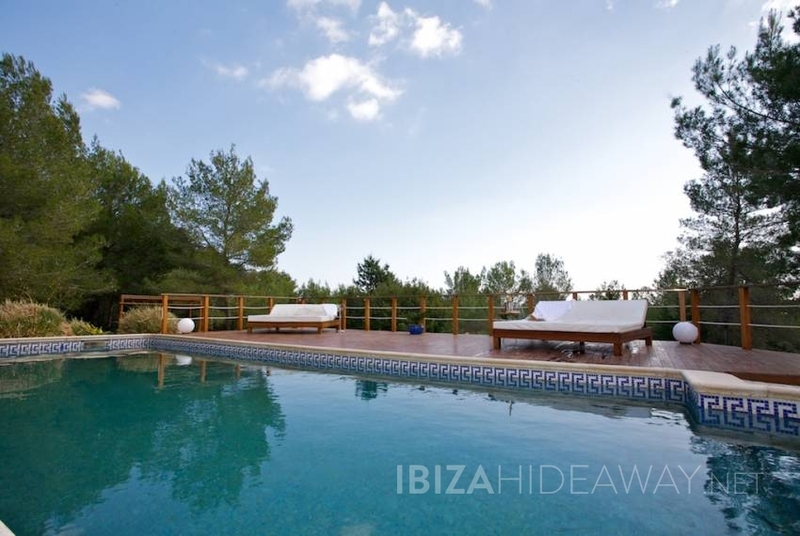 large 12 metre Private Pool, Minimalist Styling with Contemporary Furniture. 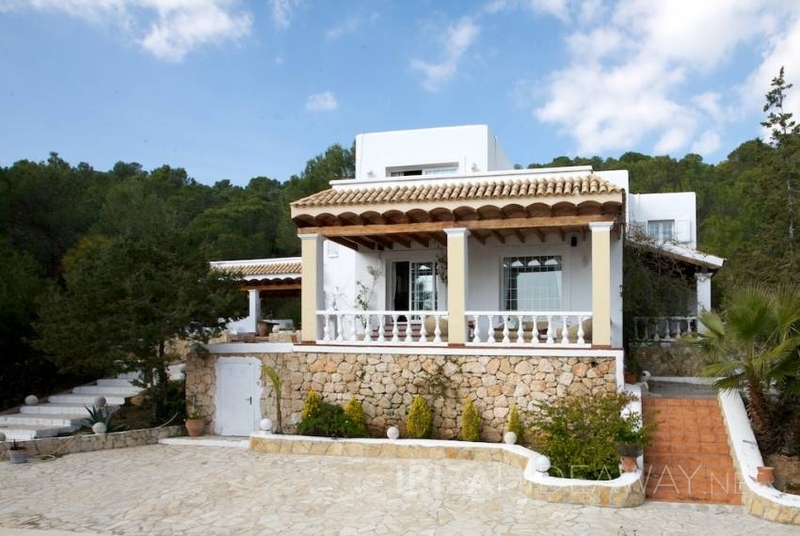 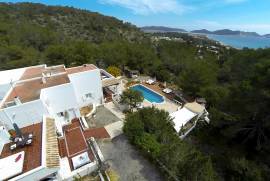 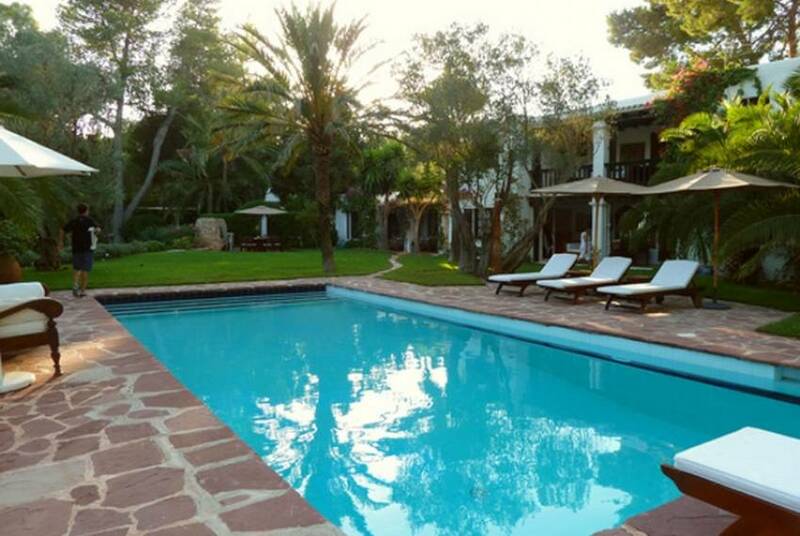 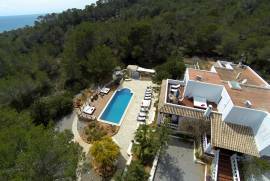 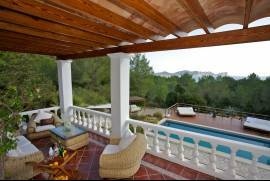 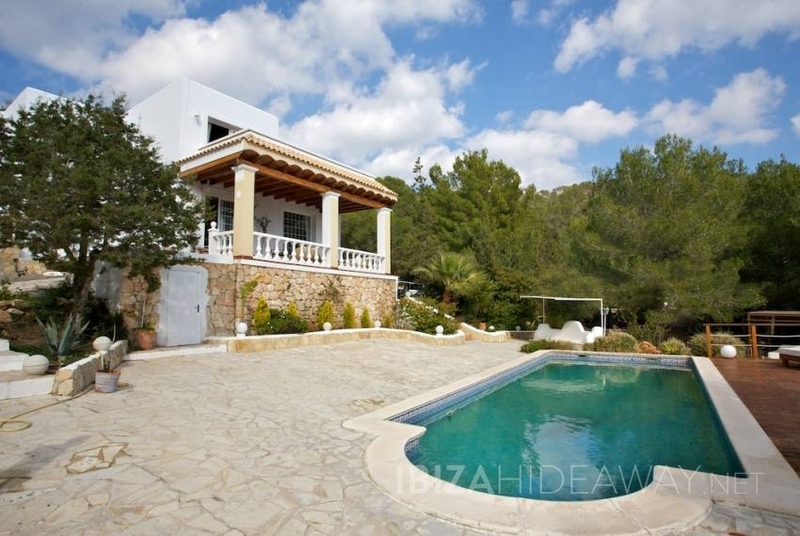 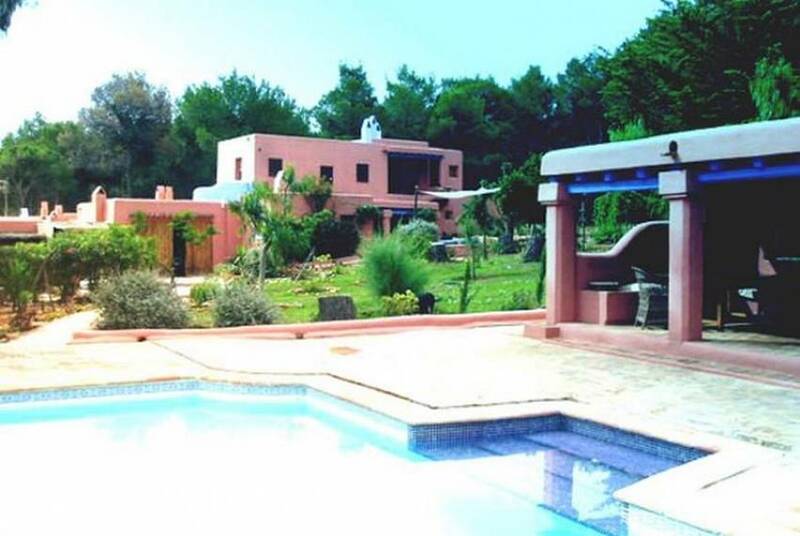 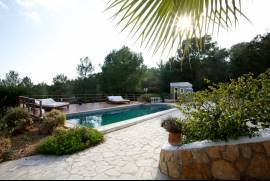 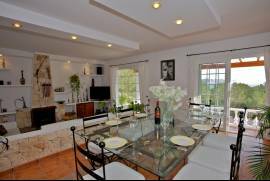 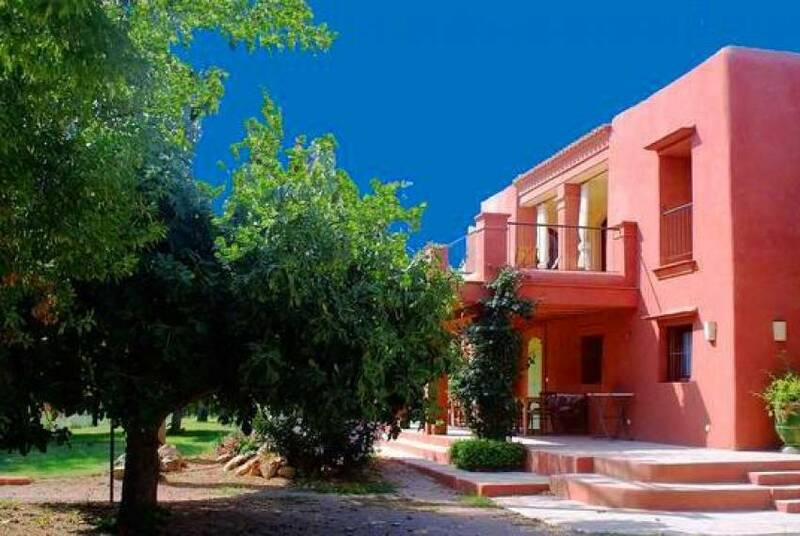 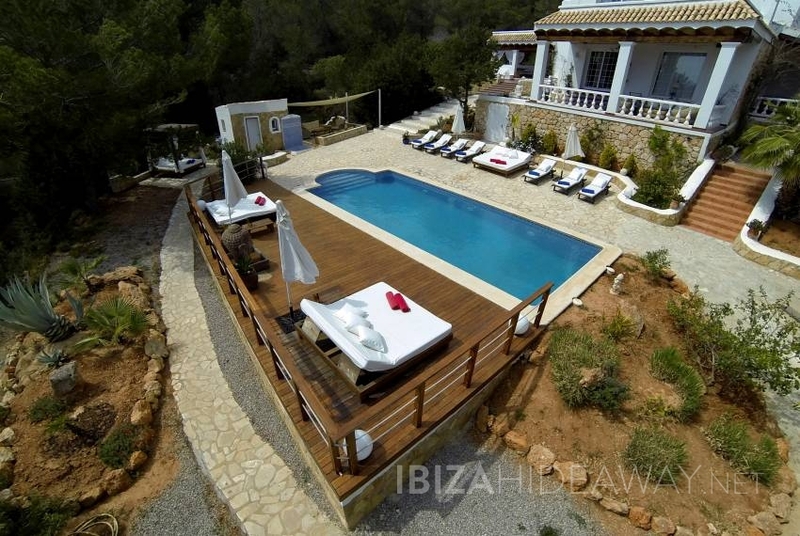 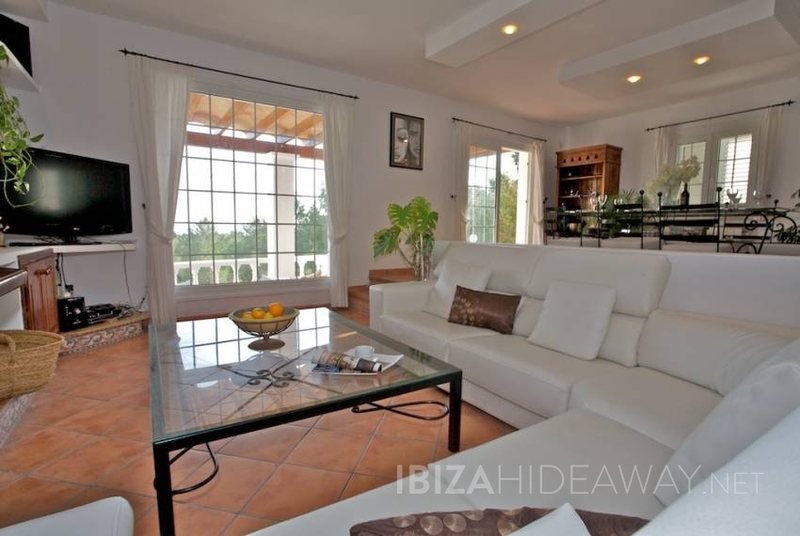 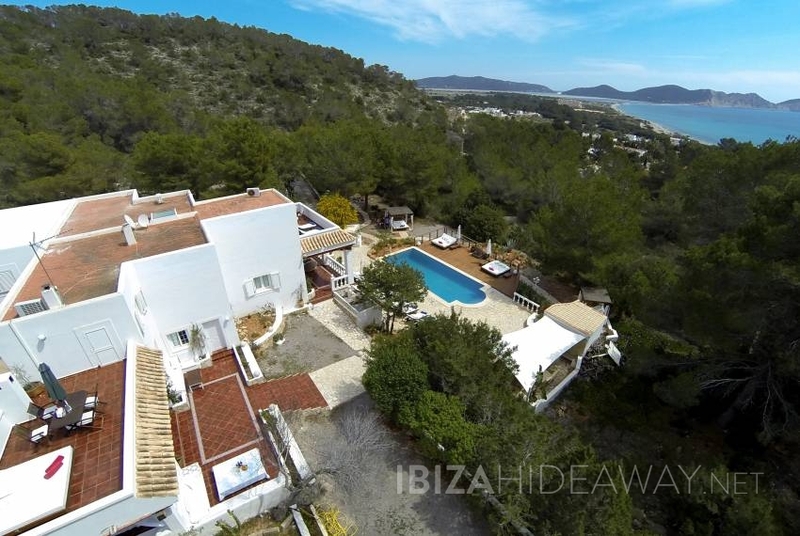 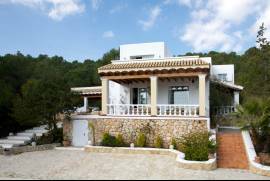 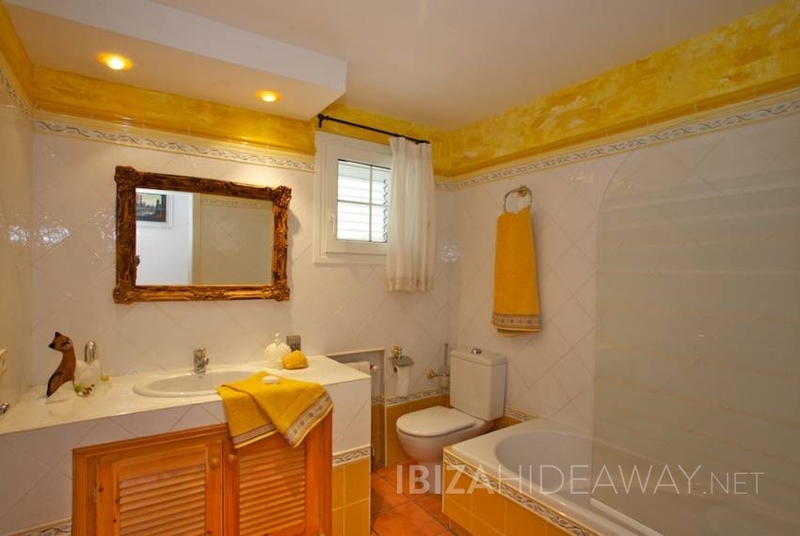 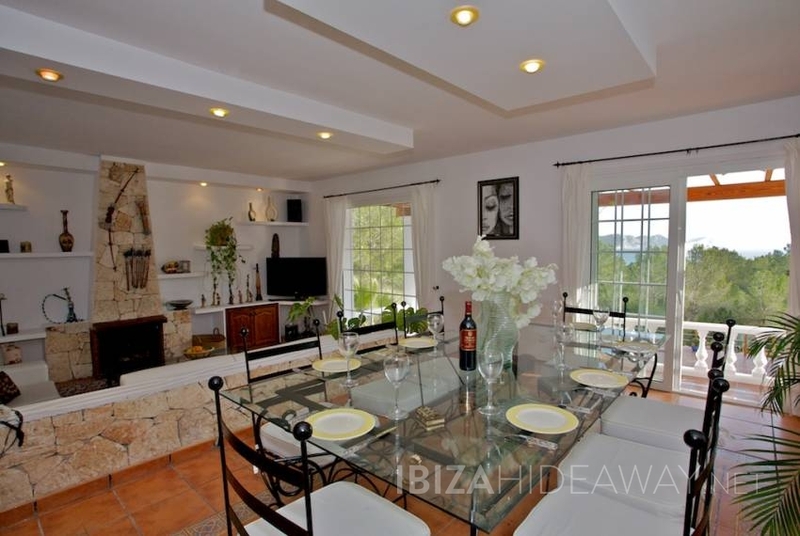 The finca is situated approximately 10 minutes drive from Ibiza town and Santa Eularia.